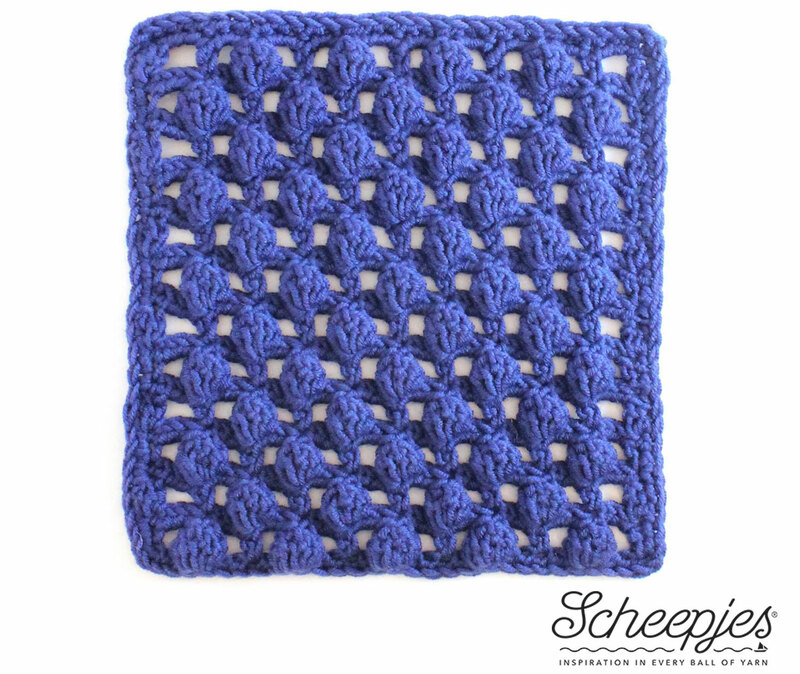 When I wrote about last week's square ('my' square) I had no idea that it would turn out to be one of the most challenging and controversial of this CAL - in fact, I'd been worried that my plain little motif would be too easy and boring for all the experienced crocheters. How wrong I was. 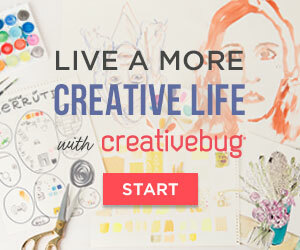 Luckily I'd been at Laura-Jane Williams' workshop at Blogtacular only a few days previously. She had talked about the the importance of not taking criticism of your work personally - 'you are not your work'. So I put on my big girl pants and smiled, and it was all ok.
Before revealing this week's pattern I would like to thank everyone who tagged me in their photos of finished squares, the 'bbl' journeys and the joyous 'aha' moments. With your nice comments - you made it a good week. I'm especially delighted for all those who found the square a challenge and persevered anyway to get great results - Wink loved the stitch I used (in fact, it was through her beach bag that I knew it existed) and I don't regret including it. I have been pleased to see that many people were able to make a few tweaks to make the stitch work for them. This is how I've finished several of the squares from previous weeks too - adding a row here, making the border on a bigger hook there, and generally 'bodging' things a little so that it looks right and will work with my gauge square. It's all good. Today, as I hand the baton to the next designer, it marks the penultimate motif - after next week, all that remains are the patterns to join the squares and add the border. So let's get on with it! This week's pattern is for an open 'textured lattice' square featuring, in the designer's own words, 'dancing bobbles'. I think this is such a pretty motif and can't wait to give it a try! I suspect this is one of those squares which looks more complicated than it is, but hey, I never seem to get this right - so please let me know what you think once you've made it. 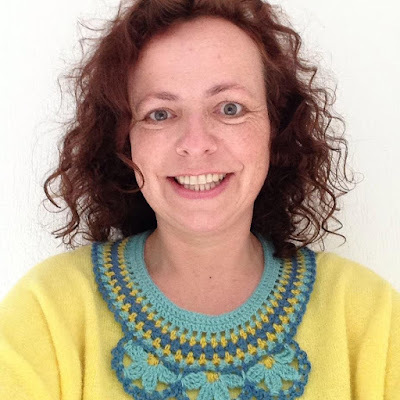 If you make crochet garments and accessories, or read popular crochet magazines, there is a good chance you will already know of today's prolific designer, Annelies Baes. 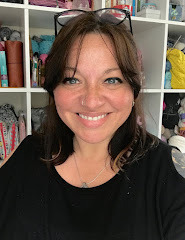 Annelies is from Belgium where she lives with her husband and two sons and it is from there that she designs her beautiful patterns and writes her blog. In the year that I have known her, and especially since we started working on this project (Annelies is also involved behind the scenes) I've been really impressed with her professionalism, her work ethic and her integrity, and am really looking forward to seeing all of the lovely new designs she is working on at the moment. If you want to read her thoughts about this week's motif, and on putting yourself out there as a designer, head on over to this post. - Download the pattern (available in English and Dutch) here. 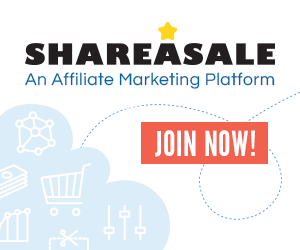 - You can also join the official Facebook groups set up for International (English language) and Dutch Scheepjes customers, where there are lots of additional hints, tips, chat etc. - Scheepjes yarn stockists in the UK are Wool Warehouse* and Deramores*. If you're not sure which you might prefer, find my round up of Merino Soft and Colour Crafter here. Sarah, I LOVED your square from the moment I saw it. This is one pattern that has done my head in on so many occassions because I couldn't translate the words or charts into product. I thanked you in the CAL group for bringing this into my sphere of learning with Esther's help. What I didnt tell you is that after my Mum passed in 2014 I discovered Wink's blog and through her was able to loose myself in creativity to help cope with the grief. Then we lost Wink. It was a whole new grieving process to go through. Your beautiful, challenging and at times mind numbing square bought such joy to me, I can now tackle (and have started the beach bag). My husband often says that if you can teach somebody something that they can then teach someone else, you then become immortal because your teaching will be carried on long after you have been forgotten.